My sketching tours in Edinburgh’s beautiful West End are running twice weekly throughout August 2016. 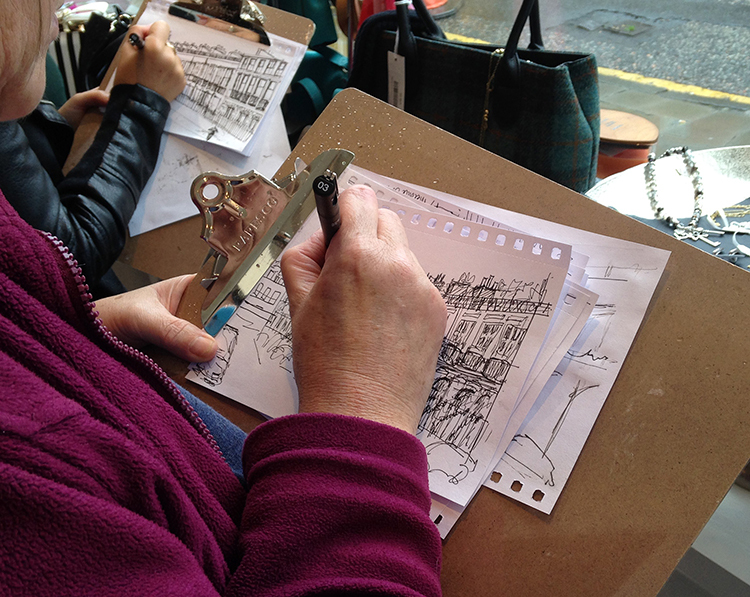 I am a week into my sketching tours and they are going great, despite last weeks showery weather my fellow sketchers created some great work while walking around the city’s thriving shopping and business district. Surrounded by stunning Georgian architecture and colourful shops the West End has always been a must see area for visitors to Edinburgh, and a favourite place for me to draw. 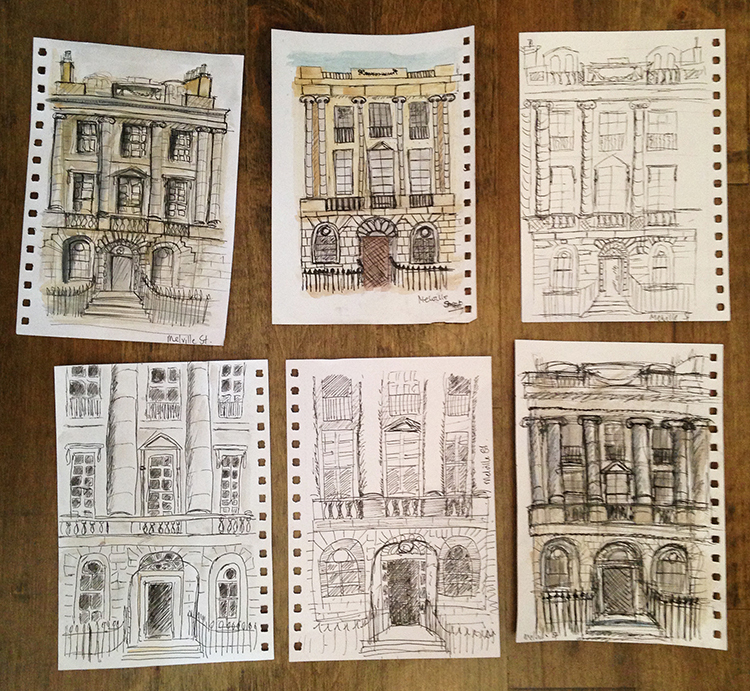 Join me on one of my sketch tours and you will capture in detail the historical architecture, unique heritage features and charming landscape as you explore Edinburgh’s West End with a sketch book in hand, using ink and watercolour to bring your visit to life. Under my watchful and encouraging eye you will quickly pick up sketching skills while increasing confidence in your own artistic ability as we wynd our way through cobbled streets, Georgian crescents and stylish shop fronts. 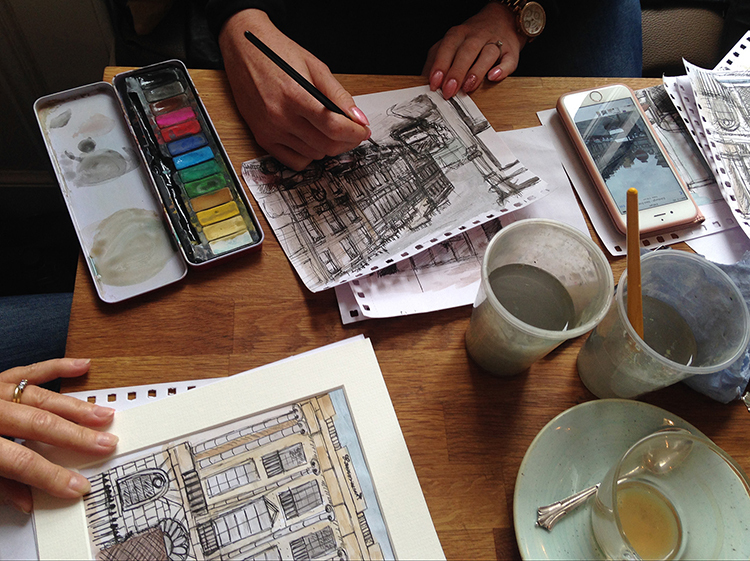 Once you’ve filled your pages with beautiful West End images, we’ll end our tour at Strumpets on William Street where you’ll add watercolour to your sketches. Strumpets homemade cakes are a popular indulgence in the West End and they have kindly offered all tour sketchers a 10% discount on the day! All abilities are welcome and encouraged so follow the links below to book your place. I look forward to sketching with you soon! Explore Edinburgh’s West End with a sketch book in hand, using ink and watercolour to bring your visit to life, under the guidance of Edinburgh Sketcher, Mark Kirkham. 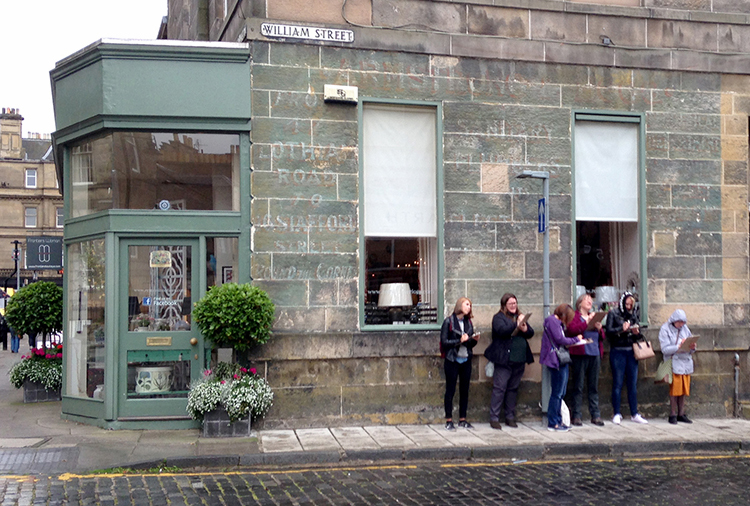 I am wondering when you are next doing walking sketching in Edinburgh thank you. for 2017.